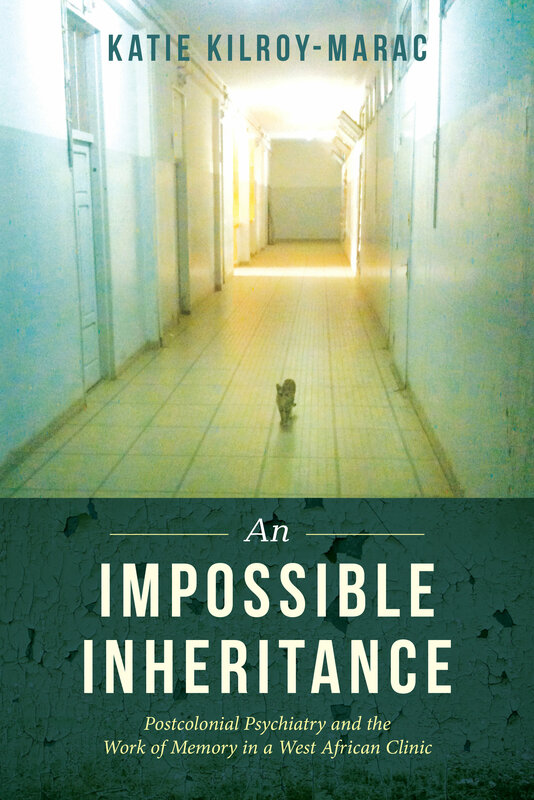 Weaving sound historical research with rich ethnographic insight, An Impossible Inheritance tells the story of the emergence, disavowal, and afterlife of a distinctive project in transcultural psychiatry initiated at the Fann Psychiatric Clinic in Dakar, Senegal during the 1960s and 1970s. Today’s clinic remains haunted by its past and Katie Kilroy-Marac brilliantly examines the complex forms of memory work undertaken by its affiliates over a sixty year period. Through stories such as that of the the ghost said to roam the clinic’s halls, the mysterious death of a young doctor sometimes attributed to witchcraft, and the spirit possession ceremonies that may have taken place in Fann’s courtyard, Kilroy-Marac argues that memory work is always an act of the imagination and a moral practice with unexpected temporal, affective, and political dimensions. 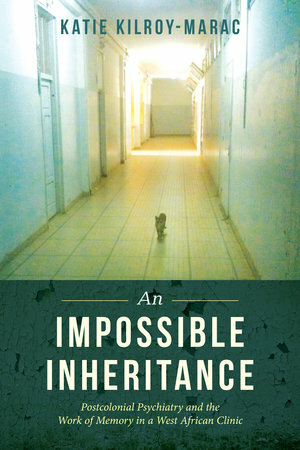 By exploring how accounts about the Fann Psychiatric Clinic and its past speak to larger narratives of postcolonial and neoliberal transformation, An Impossible Inheritance examines the complex relationship between memory, history, and power within the institution and beyond. Katie Kilroy-Marac is Assistant Professor of Anthropology at the University of Toronto.